Independent family owned and run Aga, Rayburn, and other Cast Iron Range Cookers service engineers, servicing all models of Aga, Rayburn and Cast Iron Range Cookers and boilers in Wiltshire, Somerset, Bristol, Bath, Dorset, parts of Gloucestershire, Devon and Hampshire. Specialising in maintaining all Aga and Rayburn models together with boiler servicing covering oil, gas, LPG and electric. We also service many other makes of cast-iron range cookers. We have experienced fully qualified heating and plumbing engineers within the company, meaning we can install your appliance to meet all current standards and carry out other works such as the installation of un-vented domestic hot water cylinders, single radiators, complete heating systems to meet your individual requirements and energy conservation criteria. Providing new Rayburn cooking and heating appliances including wood burning and condensing models, Heritage Cookers, EVERHOT Cookers, Boilers, Woodburners all at competitive prices. Covering Frome – Trowbridge – Warminster – Westbury – Shepton Mallet – Radstock – Midsomer Norton – Bradford-On-Avon – Bath – Gillingham – Shaftesbury – Salisbury – Sturminster Newton – Wincanton – Yeovil – Bristol – Chew Magna – Chewton Mendip – Wells – Street – Glastonbury – Devizes – Melksham – Chippenham – Bruton – Marlborough – Amesbury – Mere – Pewsey – Malmesbury – Keynsham – Saltford – Axbridge – Corsham – Calne – Upavon – Wilton – Sherborne and many other areas too. O’Briens Range Cookers are a Rayburn Heat Centre meaning we are your go to company for all your Rayburn needs. 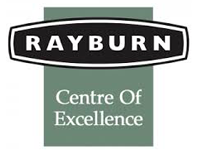 From new installs, servicing and repairs, we carry many Rayburn spares and our team have over 100 years of combined experience and are fully factory trained. Purchasing a new Rayburn from O’Briens Range Cookers is and easy process as we will carry out a fully comprehensive site visit (free within our area), the appliance is delivered direct to you, and then our fully trained install team will carry out all the work within a timely fashion. And once the appliance is installed with our serving team we can carry out all your serving and repair needs to ensure you have many years of use from your cooker. We also service many other models of Rayburn at very competitive rates, with services starting from only £99.00 + VAT and parts. O’Brien’s Range Cookers is proud to be a Heritage Cookers dealer, Based in Cornwall, the Heritage draws on the pioneer spirit of the early Cornish Range and the long history of expertise in range cooker manufacturing. Heritage has managed to produce an innovative design coupled with a traditional solid build quality to achieve a highly efficient and controllable cooker that will last for generations. O’Briens Range Cookers servicing team has over 100 years experience of looking after Aga’s, Rayburn’s and many other makes of Cast Iron Range Cooker. With engineers trained by Aga you can be sure you will get the best possible service from O’Briens Range Cookers, weather its 6 monthly or yearly service (or a breakdown) you can rest assured O’Briens Range Cookers will be on hand to give advise and to carry out all your service needs. 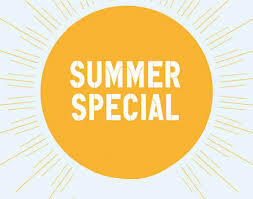 Have your service in June, July or August and we will apply a 10% discount on the service fee (not including parts). This is for all Oil and Gas Model but does not include electric appliances. We can offer two types of electric conversion for your Aga the first is similar to a purpose-built 13 amp Aga cooker. The second is a very exciting Electri- Kit conversion which allows simple individual operation to each hotplate and the ovens. This conversion can offer a saving in running costs of up to 80%. We can remove, relocate, rebuild and recommission your Aga carrying out any re-enamelling if required at the time. Changing the colour of your Aga does not mean you need another Aga. Exchange front plates and doors together with tops, lids etc can be swapped over within a day ensuring minimum disruption. From new lid/door liners to a full recondition of you Aga, O’Briens Range Cookers our happy to help you though every step of the way.